Oeiras (Portugal), May 3 - Top seed Czech Republic tennis star Tomas Berdych has advanced to the semi-finals of the ATP-WTA Portugal Open after defeating qualifier Leonardo Mayer 3-6, 6-4, 6-4 in the quarter-finals. Meanwhile, second seed Milos Raonic has been eliminated from his quarter-final by Argentina's Carlos Berlocq 7-5, 6-4, reports Sport 24. Berdych, who only took a wild card here to get more clay matches before appearing in the French Open in three weeks time, will now face Portugal's Gastao Elias or Romanian Victor Hanescu on Saturday. Oeiras (Portugal), May 2 - India's Sania Mirza and her Zimbabwean partner Cara Black progressed to the $250,000 Portugal Open women's doubles semi-finals while Somdev Devvarman was outclassed by top seed Tomas Berdych in the men's singles second round here Thursday. Somdev, Indiaa's top ranked singles player, lost to the Czech 6-3, 6-2 in an hour and 15 minutes. Berdych was superior in every single department of the match. The World No. 6 was clinical with his serves, winning 85 percent points on his first serve and recording six aces to the Indian's one. Portuguese football player Cristiano Ronaldo has become the most sought after World Cup player on Google. As the World Cup starts in South Africa, the curiosity in players participating in the game is also heightened, but Ronaldo, 25, has gained the most attention. In a blog post on June 11, Google said, "In search, the winning player is already clear: Cristiano Ronaldo, the Portuguese team captain and talented forward." In addition to Ronaldo, the other players in the public interest include Brazil's Kaka, England's Wayne Rooney, Argentina's Lionel Messi and Wesley Sneijder of the Netherlands. A new research has disclosed that female diabetics are more prone to cancer. The scientists at Tel Aviv University's Department of Epidemiology and Preventive Medicine at the Sackler Faculty of Medicine detected 16,721 female diabetes sufferers, differentiating between males and females and specifying the relative risks of cancer for each group. According to a new study, consumption of two to three cups of coffee on a daily basis can lessen the risk of developing Parkinson's Disease (PD). Boffins discovered that regular intake of coffee can decrease the chance of developing PD by around 25 percent. But, the risk of disease dropped to 14% among female coffee drinkers. The National Post reported that some of the 6,500 residents of Portugal Cove-St. Philip's noticed the toppled steeple of the St. Philips church Wednesday around 8 a. m.
The incident was likely related to a controversy over whether the church should be kept as a landmark museum or demolished, Mayor Bill Fagan told the newspaper. Diu City (Daman and Diu), Dec 25 : A beauty pageant was recently organized in Diu Island to mark its Liberation Day from Portuguese occupation. Over 200 girls participated in the four-day event, which concluded on December 19. Organizers said the show was aimed at boosting the morale of girls from the orthodox fisherman community, which prides itself in its ethnicity. Participants were upbeat and grateful for the platform the show gave them. Sarajevo - "See you in Zenica," a front page headline said Sunday following Bosnia's "unfortunate" 1-0 defeat in Portugal in the first leg off World Cup qualifications play-off. "I never saw more misfortune," the national team coach, Croat Miroslav Blazevic was quoted as saying in the newspaper, the Oslobodjenje. Virtually all local newspapers insist that Bosnia, with several clear shots at the Portuguese goal, was unlucky to lose. "Fortune turned its back," was the headline in the mass-circulation Dnevni Avaz, while Nezavisne Novine said "luck was Portugal's ally." London - A British child protection agency Tuesday issued a new video image of Madeleine McCann aimed at "pricking the conscience" of potential witnesses who might know what happened to the girl after she disappeared in Portugal two-and-a-half years ago. The one-minute film, issued in seven languages, includes fresh images of how Madeleine, who would now be six, might look like. It shows her with dark brown hair and tanned skin - in a reference to her possibly living in northern Africa. In a run up to the world climate change meet at Copenhagen, Environment Scientist and director of Stockholm Environment and Stockholm Resilience Centre, Johan Rockstrom, visited the city on Monday. Though the professor in natural resource management felt that the outcome at the Copenhagen summit looks ‘gloomy’, he suggested that India should switch to clean technology for its own survival. “Business has to change if India wants to save its fresh water supplies,” said Rockstrom, claiming that India is a great risk from climate change. Lisbon - Socialist Prime Minister Jose Socrates will attempt to rule through a minority government, he announced late Thursday after coalition talks collapsed. He accused the entire opposition of refusing to engage in "dialogue" without preconditions. Socrates heads the social-democratic Socialist Party (PS), which won a plurality of 36.5 per cent in September 27 parliamentary elections but lost its 2005 absolute majority. Lisbon - Portuguese President Anibal Cavaco Silva Monday designated Socialist leader Jose Socrates as prime minister following his victory in the September 27 parliamentary elections, while Socrates' party reinforced its position in Sunday's local elections. Cavaco Silva appointed Socrates prime minister and tasked him with submitting his second government programme to parliament. Lisbon - Portuguese voters were going to polls Sunday in local elections expected to produce few changes in the country's political landscape. About 9.5 million people were eligible to elect the members of more than 4,200 municipal councils. The overwhelming majority of the councils were expected to retain approximatively their current composition. 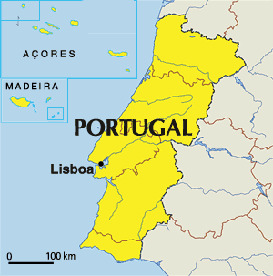 Prime Minister Jose Socrates' Socialist Party was expected to continue governing Lisbon, and the opposition conservative Social Democratic Party (PSD), the second-largest city Porto. Lisbon - Controversy was raging in Portugal on Wednesday over a spying scandal after President Anibal Cavaco Silva broke his silence about it. Jose Socrates, who is expected to get a second term as prime minister after winning Sunday's elections, said he refused to "contribute to a controversy which weakens and discredits the institutions." Lisbon - Portugal on Tuesday looked increasingly likely to get a minority government after Socialist Prime Minister-elect Jose Socrates lost his absolute majority in Sunday's elections. President Anibal Cavaco Silva was expected to task Socrates with forming a government. (PSD) rejected such a possibility during the electoral campaign. Lisbon - Portuguese analysts on Monday warned about political instability as Prime Minister-elect Jose Socrates was preparing to form his second government after winning Sunday's parliamentary elections. Socrates' Socialists took a clear victory, but lost their absolute majority in parliament. President Anibal Cavaco Silva was expected to ask Socrates to form a new government. Socrates said overnight he would start talks with the other parties and that it was too early to say whether he would govern alone or with others. Lisbon - Portuguese voters began going to polls Sunday in general elections focused on the economy, as one of Western Europe's poorest countries struggles to recover from its economic crisis. Polls gave a lead to Socialist Prime Minister Jose Socrates, 52, whose conservative challenger Manuela Ferreira Leite, 68, aspires to become Portugal's first elected female premier. Ferreira Leite heads the centre-right Social Democratic Party (PSD). Socrates was not, however, expected to renew the absolute majority he won in 2005. Manuela Ferreira Leite, Portugal's "Iron Lady"
Lisbon - Portugal's opposition leader Manuela Ferreira Leite is known as an Iron Lady - although some say she also has a maternal touch. The 68-year-old leader of the Social Democratic Party - conservative, despite its name - could become the country's next prime minister if she beats Socialist outgoing premier Jose Socrates in Sunday's elections. Coming from a prominent Lisbon family of lawyers, academically brilliant Ferreira Leite studied economics and finance, initially embarking on an academic career. Lisbon - Portugal's outgoing Socialist Prime Minister Jose Socrates seemed to have been born to win, but he now faces a strong challenge from the conservative opposition in Sunday's elections. Portugal's economic crisis and corruption allegations have weakened the position of the 52-year-old premier, whose self-confidence sometimes appears to border on arrogance. Known for his designer suits and smooth manner, Socrates has been dubbed "Sunny Boy" and "Portugal's George Clooney." Lisbon/Madrid - Portugal's parliamentary elections on Sunday, September 27 will pit two main contenders representing two different faces of the country. Outgoing Socialist Prime Minister Jose Socrates, 52, who has been dubbed "Sunny Boy" for his youthful charm, claims to stand for a socially liberal, tolerant and modern Portugal.